I really think this is genius, I am not just saying that either to stroke your egos, this is brilliant! The more I think about it the more I love it! THE HOT HOLIDAY GIFT THIS YEAR IS TIN MAN PRINTS! I love that my Instagram images are reproduced on a perfect square, so there is no distortion of my photo. The bonus is the price makes it possible to print new images each season and gift to friends and family! that is only available HERE! When you purchase 4 or more prints of the same size, you get our Triangle Mounting Tool FREE with your order! Our panels are made of rigid .045” aluminum and coated with a high gloss coating. Extremely durable scratch resistant surface that is waterproof and can be cleaned easily with a damp cloth. Our metal prints have been tested extensively and are the longest lasting print medium on the market. The clarity and depth rivals any photographic paper print method when placed behind glass. and of course our neodymium magnets. Each order comes with a pair of white cotton gloves to handle your prints. 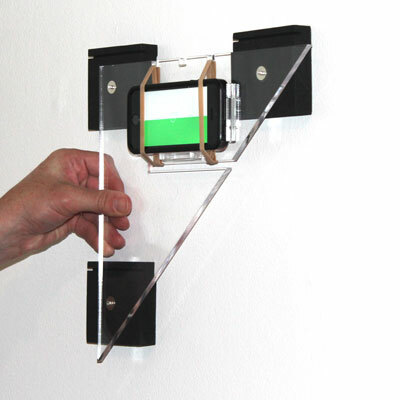 Simply attach one of the command strips™ we include with your order to the back for the mounting block and push it up to a wall. 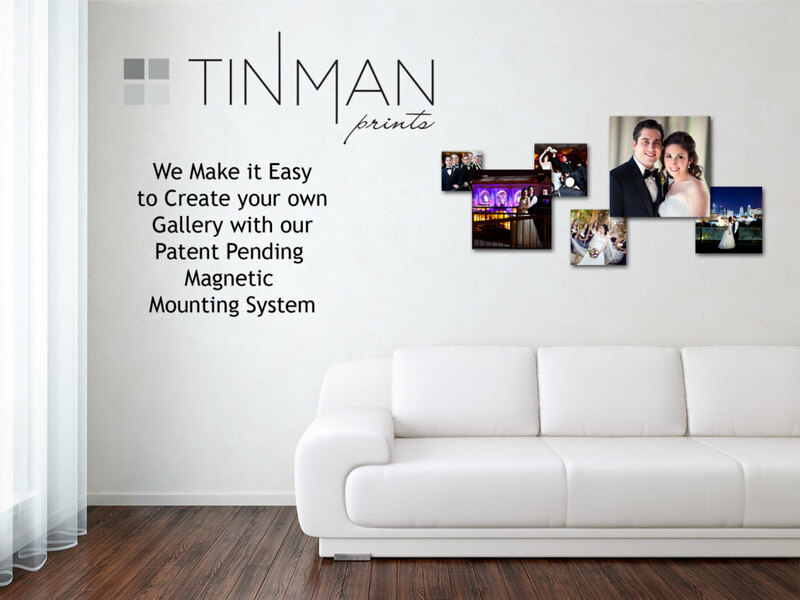 Our prints come with a high powered magnet and it connects into our mount to stay secure. In the image to the left you can see we attached the block to the back of the print first and then pushed it up to the wall. We felt it was important to give you multiple options to display your Tin Man Print. Because our prints are easy to hang on the wall, we wanted a way to use them on a table, desk or shelf. The slot is positioned just right to hold all of our prints in place, from the 5″ to the 15″ sizes.